Some Telecom. service providers in the US have started announcing dates to start sales of the Samsung Galaxy S5 Gold. Anything Gold as we all know usually looks more classy and when it applies to mobile devices, the effect is highly superb. According to AndroidPolice, major carriers in the US, such as AT&T, US Cellular, Verizon e.t.c will kick start the sales by the end of May. 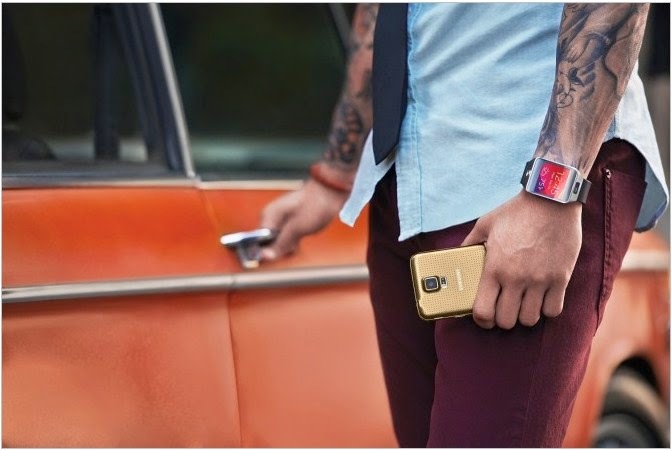 In my own opinion, The idea of a Gold version is really cool but it's a little bit disheartening that the Samsung Galaxy s5 Gold will still maintain the plastic case but all the same let's watch out for it by ending of this month and hopefully we'll start seeing it in our phone markets and online stores very soon. Like and Share this with Friends via our social buttons. We'd appreciate your comments too.